NO MATTER HOW SMALL THE INJURY OR ILLNESS DURING THE MISSION--AND EVEN IF YOU DECIDE NOT TO SEEK ANY MEDICAL ATTENTION--CONTACT SEVEN CORNERS TO DOCUMENT THE INCIDENT. Team leaders should provide each team member a copy of their personalized Seven Corners insurance ID card. Information and insurance cards are sent to the team leader approximately 1-2 weeks before departure. 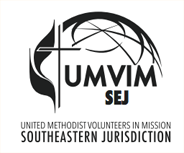 If you have not received your cards in this time frame, contact the UMVIM, SEJ office at 205-453-9480. All information should be read in its entirety, as it could be the difference in being prepared or not in the event of an emergency. Your Travel Medical Insurance coverage will begin and end on the date as indicated on the team leader’s registration when insurance was purchased. The Seven Corners policy will pay eligible expenses secondary to any coverage you already have in place. If there is no other coverage, it will pay primary. There is a $50 per occurrence deductible. Should a team member desire direct billing with the medical provider, Seven Corners staff will arrange the billing details with the provider as long as Sever Corners was called to assist you in locating a provider. Seven Corners has a network of over 12,000 doctors and hospitals worldwide. Failure to utilize Seven Corners Assist to arrange service will result in denial of benefits. Please understand the necessity of contacting Seven Corners at the time of the emergency, even if the team member declines local treatment (sprained ankle, etc.). If it flares up in the once the team has returned to the United States and Seven Corners has no record of the incident, they can/will decline coverage. Charges incurred outside of the United States may be settled out-of-pocket by the team member and submitted to Seven Corners for reimbursement. The Claim Form, Schedule of Benefits, and Seven Corners Certificates (Policy of coverage and exclusions) are available for download HERE. If you have any questions related to the UMVIM Travel Medical Insurance, please call our office at 205-453-9480. The information in the following downloads should be read in its entirety, as it could be the difference in being prepared or not in the event of an emergency. These will also be sent to the team leader with the Insurance ID cards. Print and take a copy of this document with you when traveling.